The Gregis Insurance Agency in Bridgeport, WV, can provide affordable motorcycle insurance coverage for riders in Harrison County, WV, Marion County, WV, Monongalia County, WV, or anywhere in the state of West Virginia. We can insure any two- or three-wheeled road-worthy vehicle to give you the peace of mind before, during, or after any ride. Whether you have a factory-built motorcycle for basic transportation, a tricked-out custom machine with gleaming chromed parts and accessories, a classic bike from the golden age, or even a simple motor scooter or trail bike, the Gregis Insurance Agency in Bridgeport, WV, can cover your ride with competitive rates for all your motorcycle insurance needs. The Gregis Insurance Agency can also help protect more than just your bike. Insurance coverage for emergency roadside assistance can help you get back on the road in the event of a problem while traveling, whether you are close to home in West Virginia or touring through other states around the country. If you have customized your bike with additional accessories, saddlebags, or other pieces of custom gear, we can also help you protect your investment by making sure you have adequate insurance coverage for custom paint or components and accessories and protective gear. Talk to the pros at the Gregis Insurance Agency about a comprehensive motorcycle insurance policy to cover your bike and everything that goes with it. Enjoying your motorcycle on the open road is always a pleasure, but sometimes bad things can happen out there to even the best rider. The Gregis Insurance Agency can make sure you have adequate insurance coverage for bodily injury or damage to your motorcycle in case you are involved in an accident. We can also provide liability insurance coverage for property and bodily injury in the event you are at fault in an accident. The experts at the Gregis Insurance Agency can also make sure your motorcycle has the proper insurance coverage for any vandalism, theft, damage, or other loss that occurs during the riding season or while in storage during the winter months. Call the experts at Gregis Insurance Agency in Bridgeport, WV at 304-842-2054 for a free quote on all your motorcycle insurance needs. 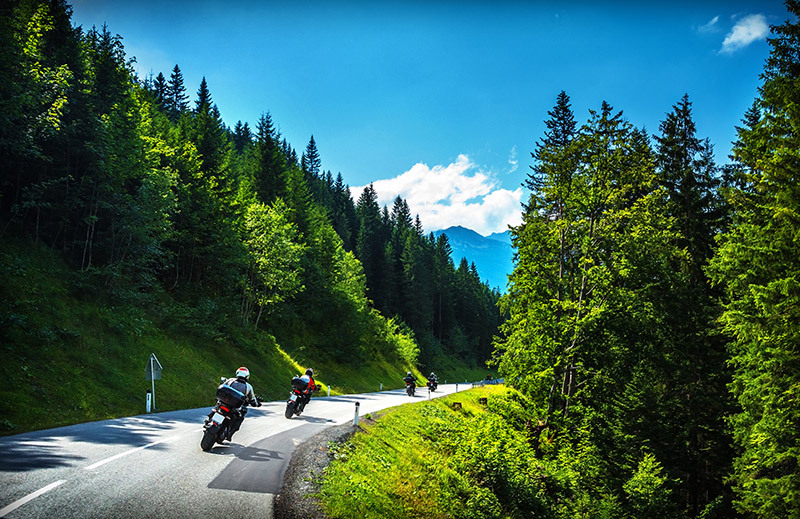 We have years of experience in providing motorcycle insurance to motorcycle owners in Harrison County, WV, Marion County, WV, Montgomery County, WV, and throughout the state of West Virginia. The professionals at the Gregis Insurance Agency have years of experience delivering affordable motorcycle insurance to West Virginia bikers. Riding a motorcycle has always presented a unique appeal and special brand of freedom to those who take to the road on two wheels. Let us tailor an insurance policy to fit both your personal needs and budget in order to protect your two-wheeled investment and allow you to take to the open road with the peace of mind that both you and your bike will be covered in the event of an accident. Please use our online Contact form at your convenience to reach one of our agents, ask a question, or request a free quote.